The concept of DevOps dates back nearly 10 years now. During this time, a lot has changed. As DevOps has matured, we have seen many successful implementations, lessons learnt and copious amounts of data gathered. One thing that remains unchanged to this day – DevOps is motivated by business results, without which there would be no reason to take risks. Typically, organisations are driven to improvement through one or more of the following four areas: time to market, quality in the improved user experience, efficiency or compliance. However, to achieve any of these objectives, DevOps requires changes to culture, process and tools. As consumers have demanded more online services, DevOps has become incremental to the digital transformation some companies have embarked on to stay competitive. For example, during the time that Netflix evolved its business model from DVD rentals to producing its own shows and delivering a video on demand service, a lack of commercial tools to support its huge cloud infrastructure saw it turn to open-source solutions for help. It was here that the Simian Army was created, a suite of tools that stress tested Netflix’s infrastructure so that its IT team could proactively identify and resolve vulnerabilities before users were affected. A global study from Freeform Dynamics and CA Technologies reveals the benefits and drivers for DevOps implementation, and highlights how culture, process and technology must come together to enable DevOps success. In EMEA, IT decision-makers surveyed saw a 129 per cent improvement in overall software delivery performance when practicing cloud and DevOps together. This was over an improvement of just 81 per cent when practicing DevOps alone and 67 per cent when leveraging cloud without DevOps. Not only have organisations experienced 99 per cent better predictability of software performance, by combining DevOps with cloud-based tools, it has resulted in a 108 per cent improvement in customer experience over traditional software development and delivery models. A streamlined online customer experience is in high demand, and respondents cited a faster software delivery speed of 2.6 times – plus more than three times better cost control for the tools and services that DevOps teams actually use. Agile management: New capabilities bridge the gap between employee autonomy and company strategy with an unprecedented level of process flexibility, supporting organisational methodologies (such as Scrum and Kanban) at the team level. It helps ensure visibility, and alignment to corporate strategy and direction. API management: Application programming interfaces (APIs) are the unsung heroes of the application economy. Many of the world’s leading applications would not exist without them. APIs are sets of defined rules that govern how one application can talk to another, providing ready-made, universal access to whatever functionality an organisation needs to deliver. Analytics: Analytics are necessary to provide visibility into time spent at each step in the software development lifecycle (SDLC) to enable faster software delivery. They also provide a holistic view of orchestration across the entire software delivery chain – integrating planning tools, agile management solutions, performance testing tools with release automation, operations and application testing solutions. Analytics solutions also correlate end-user, application and infrastructure monitoring to deliver business and operational insights necessary to improve digital experiences. Integration of mainframe operations and automation tools: These allow organisations to leverage machine learning for operational intelligence and real-time dynamic thresholds. These solutions proactively detect performance anomalies sooner, and automate corrective action that prevents outages and slowdowns of mission essential systems. DevSecOps: The entire software lifecycle is incorporated with security through DevSecOps. By detecting and addressing security defects throughout the development process, companies can reduce the risk of the most common source of breaches: attacks on the application layer. In the current environment, being built to succeed means being built to change. Innovations supporting microservices and container-based architecture are driving overall modernisation, with technologies such as machine learning and advanced analytics. Today, traditional software development proves obsolete versus cloud, DevOps, or – ideally – both combined. 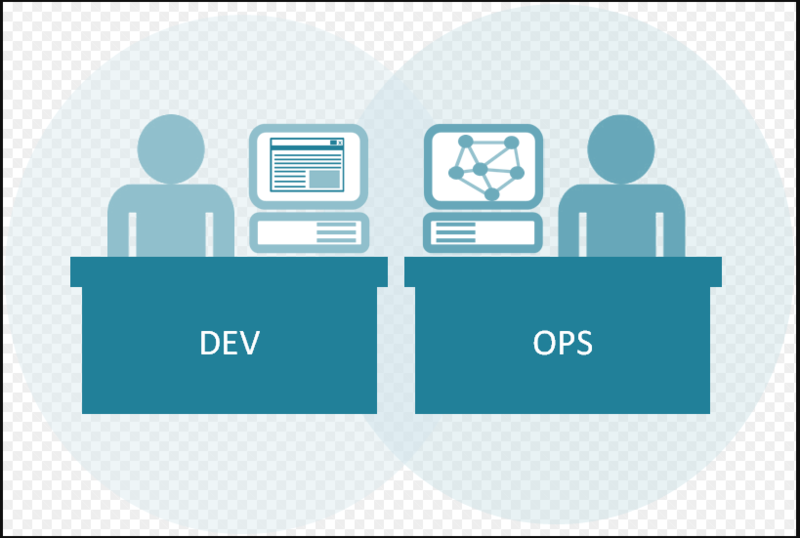 Together, cloud and DevOps are fuelling the modern software factory revolution.